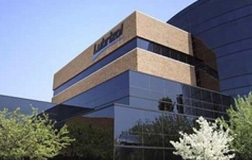 US firm Lubrizol Engineered Polymers has added another new TPU line in its Songjiang (Shanghai) China plant going into production soon, the second expansion in a year aimed at continuous growth in Asia. The firm says the expansion of the Songjiang plant follows the launch last year of a new compounding line. Both expansions are aimed at supporting the company's Engineered Polymers business. "We value the Asian market as a critical region where we can drive future success for Lubrizol," said. Jane Cai, Regional Business Director, Lubrizol Engineered Polymers. She continued, "We have seen strong opportunities and broad growth in Asia and Greater China in recent years, and our continued investment will enable further customization of materials to the specific needs of customers and markets. At Lubrizol, we are focused on improving lives - from consumer lifestyles to the service life of industrial applications. Our strategy and commitment are to collaborate closely with our customers to understand their needs and work quickly to bring innovative solutions that help them differentiate their products in the marketplace." 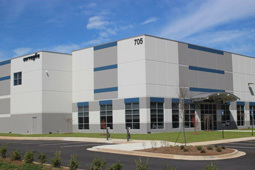 In other news, Switzerland-based caps/closures maker Corvaglia Group has completed its first manufacturing facility in the US, Newnan, Georgia. The company manufactures 100% recyclable plastic caps and closures for the food and beverage industry worldwide. The new US facility will complement Corvaglia’s existing operations in Eschlikon, Switzerland, and Ixtlahuaca, Mexico. Corvaglia’s business is dedicated to closure design as a vertically-integrated manufacturer and supplier of caps and closures for PET containers. Founded in 1991, Corvaglia customizes one-piece closure technologies that address the particular needs of its customers and the consumer, for bottled waters, carbonated and non-carbonated soft drinks, isotonics, juices, teas, dairy and edible oils. The new US facility utilizes Corvaglia’s in-house proprietary moulds to manufacture lightweight one-piece caps and closures for the North American beverage market. Additionally, the Corvaglia USA operation offers high-speed digital printing that provides unique short-run customization and branding opportunities. This Swiss-engineered digital technology provides 720 dpi high-resolution print quality using a single-pass CMYK process.